Mt. Baker continues to set records for the amount of powder it continually receives. Skiers and boarders, you won't want to miss this prime winter sports destination. Getting an average of 641 inches of snow a year – more than any other resort in the world – Mt. Baker is known as a mecca for powder hounds. With diverse terrain and awesome natural features, the Mt. Baker ski area is great for skiing, and world renown for freeride snowboarding. It’s the home to the Legendary Banked Slalom race, the longest running snowboard competition anywhere. Yet, despite its fame, the Mt. Baker ski area is still a family-owned, fairly remote, no frills kind of place where you can focus on the important stuff: hitting the slopes. Sitting at the very end of the highway, only ten miles south of Canada but 30 miles to the nearest town (called Glacier), the Mt. Baker Ski Area is more isolated than Washington’s other resorts. Meaning: it rarely gets crowded. Come mid-week and you’ll feel as if you have the entire place to yourself. Plus, with adult lift tickets going at $57/day for weekends and holidays and $52/day midweek, the resort is comparatively inexpensive. The ski area is equipped with a total of ten chairlifts that go up to an elevation of about 5,000 feet. The chairs service beginner to expert runs in the trough between 9,131-foot Mt. Shuksan and 10,781-foot Mt. Baker. 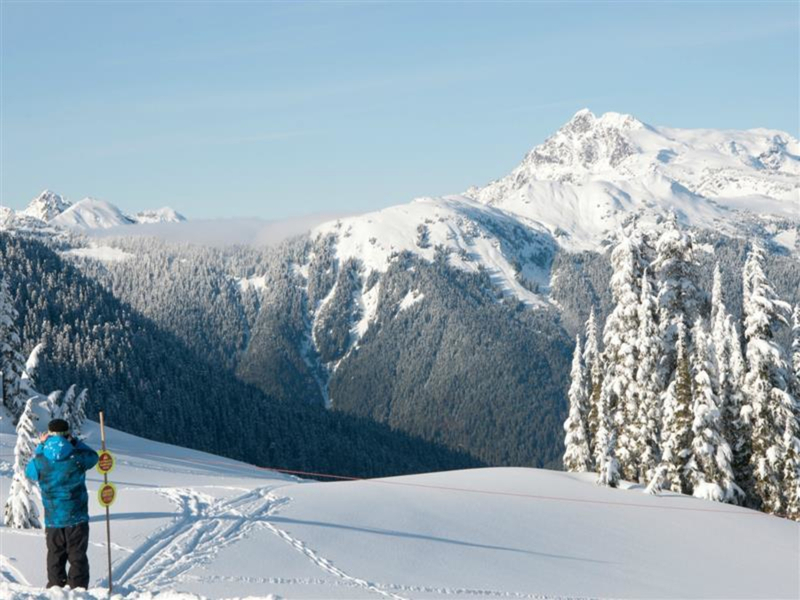 Many people, however, come for the resort’s incredible surrounding backcountry in the Mount Baker Wilderness, which is accessible from several of the lifts. The ski area established its snowboarding roots early on. While many resorts eschewed the sport in its early days Mt. Baker embraced it, especially as it began to host the Legendary Banked Slalom in 1985. The event consistently attracts some of the biggest names in snowboarding, but has managed to maintain an atmosphere of fun over competition. Instead of cash, the winners get a Duct Tape trophy and embroidered Carhartt jacket. Mt. Baker’s biggest claim to fame to date is holding the world record for greatest amount of snowfall in one season; in the winter of ’98-’99, the resort received 1,140 inches of snow. While most years Mt. Baker doesn’t get quite that much powder, the ski area does consistently enjoy more snow than most other areas around the world. The flip side to the huge dumps of snow Mt. Baker gets is that the area is notoriously grey. Because of its relatively low elevation and proximity to the coast the temperatures are pretty warm and the snow has higher moisture content, meaning conditions can quickly deteriorate in the rain. Snowboarders who are keen to forgo man-made features for natural ones. While Mt. Baker is not necessarily the place to play on manufactured jumps, rails, or groomed snow, anyone who loves navigating the challenges of natural terrain is going to have a field day. Mt. Baker is 52 miles east of Bellingham. Take Exit 255 from I-5. 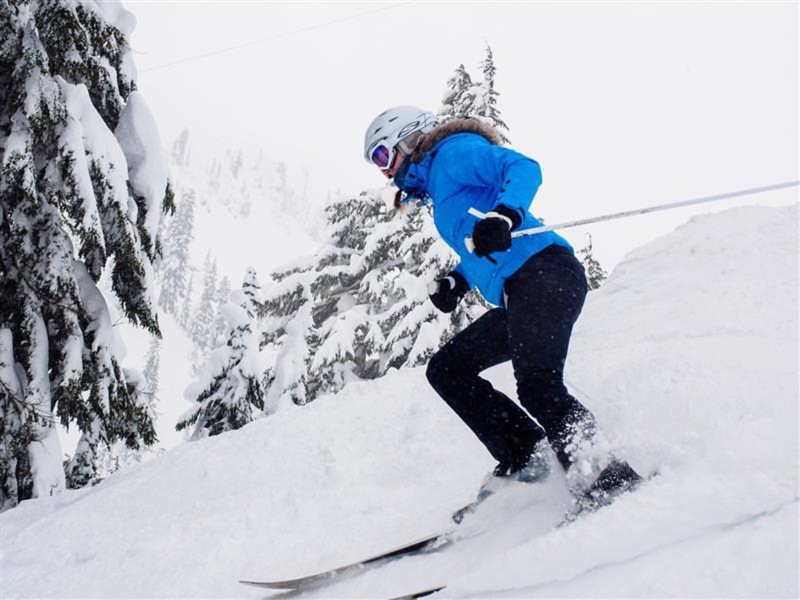 Open seasonally: the ski season typically begins late November and ends in late April. Operating hours are usually 9 a.m. – 3:30 p.m., but check for conditions and closures here before you go.